Hatsune Miku, the world's most famous virtual singer, returns in an all-new rhythm video game featuring the best new music and classic tracks reborn. Tap, hold, and flick to the beat as you play through 40 addicting songs and four expansive difficulty settings that will keep you coming back for more! 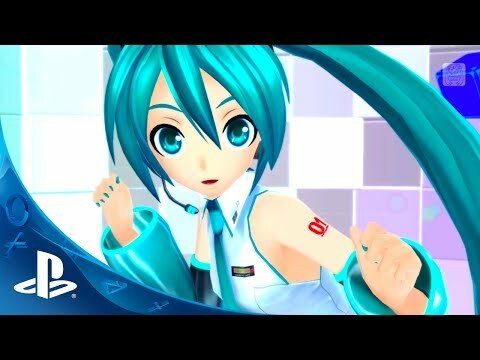 Miku’s friends Rin, Len, Luka, Meiko, and Kaito also join the party, and each will appear with their own songs to play. On top of the music, you can fully customize every video with over 100 costumes and 150 accessories for your favorite performers! Purchase the Hatsune Miku: Project DIVA F 2nd Costume Club Pass and show everyone that you are a Project DIVA mega-fan! By joining the club, you will get access to six months of post-launch Costume Module releases* at an amazing price. With over 45 Costume Modules designed by your favorite artists, that’s more modules than you can shake a leek at! Fun fuzzy friend-themed modules such as Rin and Len’s Alparka Hoodies designed by Nazyo, and Luka’s Kitty Ears Hoodie designed by 7:24! Swimsuit modules for all the characters! Remakes of classic modules such as Miku’s Shiny designed by Atsuya Uki and TYPE 2020 designed by Shirow Miwa! A full-sized Mikudayo character module! We promise she’s friendly. Join the world’s most famous digital singer in the expansive sequel to her critically-acclaimed Rhythm game. Features 20 all-new songs and 20 classic tracks reborn, including World is Mine and DECORATOR. Tap, hold, and flick to the beat with four unique difficulties for each song! Over 100 costumes and 150 accessories to customize Miku, Rin, Len, Luka, Kaito, and Meiko! Featuring popular returning costumes and all-new outfits! Build your very own videos and rhythm games in the newly improved Edit Mode, and share them on PSN!